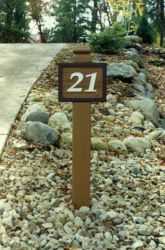 Custom house signs and address plaques make an attractive addition to any home. 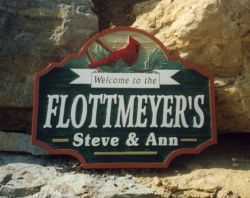 See examples of our personal signs. Service Area: Middleton, Oregon WI, Monona, Mc Farland, Stoughton, Monroe, Mount Horeb, Lodi, Brodhead, Dodgeville and surrounding communities.